These tariff plans are coming in details, as I will be summarizing them, providing the updated services in 2017, for call rate, Bonuses, Data subscriptions coupled with free browsing cheat etc. So after reading this post, you will be in a better position to tell from the various networks in Nigeria, (MTN, Airtel, Glo and Etisalat) which is the best in offering a better service when it comes to Tariff plans, especially when call making, the flat rate and so on. MTN Pulse tariff plan has gone viral in so many marketing platforms. The tariff plan shouldn’t be a news again to most of us, as the service has undergone many series of advert on most of the medias in Nigeria ( such as magazines, newspaper, radio and TV stations/channels ). Without doubt, the advert is also going on via Satellite TVs and in various internet platforms. Users of ipulse tariff plan, are entitled to make local call to any network at a rate of 11 kobo per second. The first call you make on the plan in the first minute of the day, will be billed at ₦12. After then, the normal charging rate takes place. So in other words, making recharge of ₦100 will enable you talk for over 14 minutes of the day or to the next day, if you wish not to finish the airtime that day. 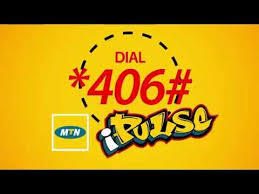 The MTN ipulse plan also give you cheapest and affordable data plan for browsing on internet. The plan allocates 10MB and 20MB worth of data to users whenever they recharge ₦100 and ₦200 airtime respectively. Don't miss out, Read: How to migrate to MTN XtraVoice Bundle4U That Has Whooping Offers. Subscribing for 1GB and 1.5GB on MTN network goes for ₦750 and ₦1000 respectively. The data plans varies for some tariff plans, but ipulse gives you 1GB for just ₦500 only. Talking about ipulse night browsing data plan, it goes for ₦25 only which will serve you throughout the night, but with specific time duration. You can as well benefit from ipuse MTNAwuf4U offer, that gives you an instant 4 times of all recharges from ₦400 and above, when you recharge with this code *888*your airtime pin# Not only that, you can also get 3.5GB worth of data with just ₦2000 only, send an SMS 110 to 131 to get yours. It is valid for 30days. Now to subscribe/migrate to this ipulse tariff plan, just dial this code *406#. Meanwhile, check other enjoyable services you can get from MTN ipulse Tariff Plan, including SMS charge rate Here. MTN Xtra Pro is almost similar with MTN ipulse. In other words, Xtra pro charges users 11 kobo per second for local calls only, which implies ₦6:60k per minute. The tariff plan charges you an access of ₦5 per day in order for you to enjoy the cheap call rate. The plan is actually a good one for those that love making a long duration of call to loved ones and friends. As we did for ipulse tariff above, you will be able to call any network for about 14 minutes and 37 seconds of the day, when you recharge a ₦100 credit. The plan is all about, the more you make call, the cheaper it becomes. 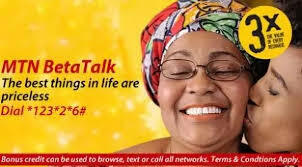 Now to migrate/join MTN Xtra Pro tariff plan, simply dial this code *401# on your device. You Might Want To Read: The Benefits Of Using The New MTN Mobile Electricity (Lumos) That Powers Your House With Solar Energy. This particular plan is the best for those that make international calls a lot. The tariff plan charges a call rate of ₦9 per minute for local calls and same charge rate for international calls too. So if you are a business man or woman, transacting from different counties, and needed to make calls right from Nigeria to your partners outside the country, then this tariff plan remains the best for you. At least it charges you same amount you make call to local networks for your international calls compared to other MTN tariff plans. You should also know that, there are limits to country in which you can call with this plan. 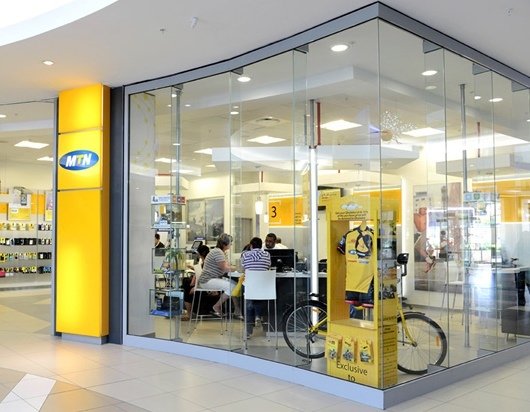 Click here to see the countries you can call with this MTN plan. Meanwhile, you can migrate MTN Xtra plan by dialing this code *408# on your phone. You need to know the terms and conditions that apply for MTN Xtra Value, before you can talk of migrating to the plan. Here, when you buy airtime in bundles, your rate increases across the bundles. So in other words, when you specifically buy a bundle worth of ₦5000, your local call rate and that of international call rate will be billed at ₦33 and ₦39 respectively. Stay in touch, because a detailed post is coming specifically for MTN XtraValue Bundles, containing its offers and terms and conditions for subscribers. This plan offers 200% of bonus before, but now has been updated to offer 250% bonus for all recharges you make. To be frank, I have been enjoying from this tariff plan for long, it remains my best because of its whooping bonuses it offers. I make calls for hours as if the airtime is free of charge. Off course it is free, when compared to other tariff plans on MTN network. When you talk of cheap SMS charge rate, MTN Beta talk is there, what of data bonus, it is same as ipulse tariff. I personally crafted a special and detailed post, containing everything you need to know about the beta talk plan and how to migrate Here. 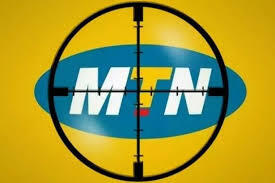 Don't Miss This One: MTN XtraByte Service - Gives You Extra Data For Web Browsing. As stated in the beginning of this post, this is just an insight to Most MTN tariff plans that offers their subscribers different and best service in 2017. Do well to enjoy any offer on whichever plan you migrate to. In case you wish to de-activate or unsubscribe from any of these plans, simply dial this code *123# and follow the prompt screen. Don’t forget to share this post. Thank you.